A Nation of a Hundred Million Idiots? 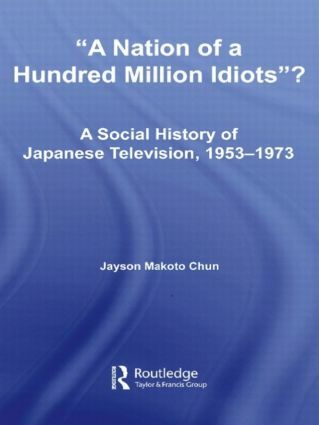 This book offers a history of Japanese television audiences and the popular media culture that television helped to spawn. In a comparatively short period, the television industry helped to reconstruct not only postwar Japanese popular culture, but also the Japanese social and political landscape. During the early years of television, Japanese of all backgrounds, from politicians to mothers, debated the effects on society. The public discourse surrounding the growth of television revealed its role in forming the identity of postwar Japan during the era of high-speed growth (1955-1973) that saw Japan transformed into an economic power and one of the world's top exporters of television programming.